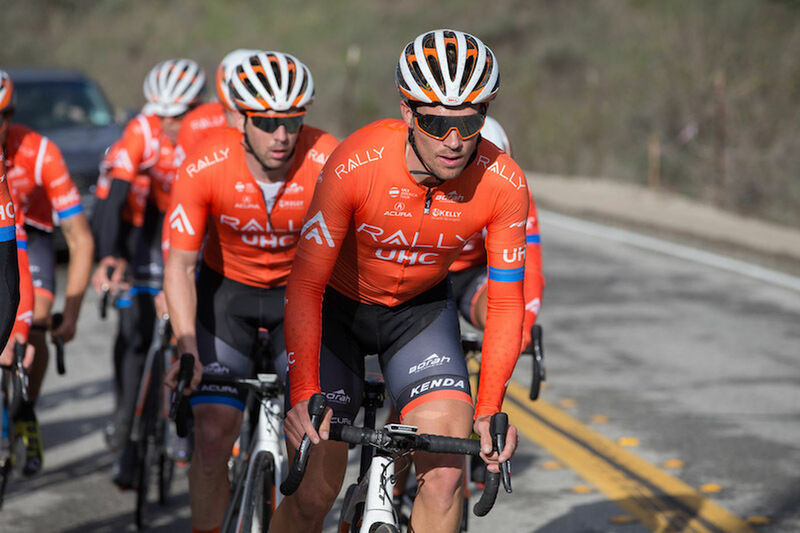 Below, Marshall and Rally UHC’s cyclists offer their best advice for getting out the door and into your workout with a positive attitude. The most important takeaway? Once you start moving, putting in the effort rarely feels as hard as you thought it would. Marshall says Anderson’s tactic is smart. “Any opportunity to make your workout about something other than you is going to really help,” he says. “If you can make your why about other people — like staying accountable to your running group or soccer team — your brain is going to be attracted to that.” Maybe you want to be healthier so you can chase your kids at the park; your why. The next time a workout starts to feel like a slog, keep that in mind. “I honestly don’t know how I go hard. I just know that in this sport, you need to suffer, and you get used to it,” says Colin Joyce, who placed third in the Arctic Race of Norway in 2018. “A race is never going to be easy, so you might as well embrace it when you're not motivated for it and try your hardest anyway.” The days when you get out and complete your run or boot camp class even when you’re not feeling particularly sporty are the ones that ultimately make you tougher. “When we force ourselves to experience discomfort, our brain adapts,” Marshall says, “so it becomes easier next time.” The next time you’re mulling skipping spin class to binge on Netflix, drag yourself to the gym instead. Completing your workout will feel great — and make you grittier in the long run. “Music is a huge ergogenic aid,” Marshall says. “When you listen to music you like, your perceived exertion drops and you become more physically resilient.” Abby Mickey, who’s been racing professionally for five years, knows this well. “Honestly, music turns my head off,” she says. “There’s no better way to up the mood. Just putting on headphones puts me in a new headspace. ‘Shake It Off,’ by Taylor Swift, is my go-to.” Criterium expert Sara Bergen ups the ante by creating whole playlists with specific races in mind. “I have ones called ‘Crush it at Joe Martin Stage Race’ or ‘Go fast in Belgian Time Trial,” she says. Try it: Make a playlist of your own, timing the most inspiring songs to the hardest parts of your workout — say, when you’re powering through an incline on the treadmill or cranking up the resistance on the elliptical machine. It’s easy to get stuck in a negative thought spiral when a workout isn’t going well. Snap out of it by reminding yourself that not every sweat session will be a personal best — and that’s OK. “I think staying present and knowing that a ride or workout might stink, but still going out and trying hard, is important,” says Allar. Marshall agrees. “Give yourself permission to not be fast or efficient every single time,” he says. “Take every training session as an opportunity to learn more about yourself.” Don’t put pressure on yourself to be perfect. Going out and trying your best is what matters most.